Why should you buy Rims? When asked, our customers have a few different reasons to why they are buying new rims for the vehicles, to be honest they all make great sense. Some buy rims to change the visual look of there vehicle, some buy wider rims to increase performance and some buy bigger rims and tyres to increase their off-road ability. What ever the reason, we have the rims you want and need at unbeatable prices. Wanting to cater to the entire market, our selection of rims available suit the majority of vehicles in the Australian domestic and imported segments. We are constantly expanding our offerings, with rims for family, sports, off-road and commercial vehicles, if you are after an upgrade, we will have what you need at an unbelievable price. Cheap prices do not always guarantee low quality and the myth needs to be broken. Even though the saying is true to a certain extent, the prices of renowned brands are further hiked by the number of mediators that are involved in the deal. Say, for example, you’re buying a BBS rim. If you can get the product directly from the company’s storehouse, you will get it at a cheaper rate than the retailer. This happens primarily due to the additional expenses that are incurred during transportation and storage. At OzzyTyres, we eliminate the middleman to get you the best deals on the best products in the market. All the products that we sell go through a rigorous checking phase where every product is tested for any form of accidental damage or manufacturing defect. Hence, the chances of buying a damaged product at OzzyTyres are lesser as compared to the other local online retailers. At OzzyTyres, we don’t just aim for profits, we work to ensure that our customers get what they are looking for. Hence, you could approach us for professional advice on your vehicle at any time of the day. We also provide custom rim packages for our customers who are looking for something out of the standard kit. Let’s face it, custom rims revolutionise the exterior aesthetics of a vehicle and there is no denying the obvious. However, contrary to popular belief, custom rims need not always be on the Northern side of the price range. If you don’t believe us, take a look at OzzyTyres’ custom rim collection online. You might find our offers hard to believe at first, but there is nothing better than first hand experience. 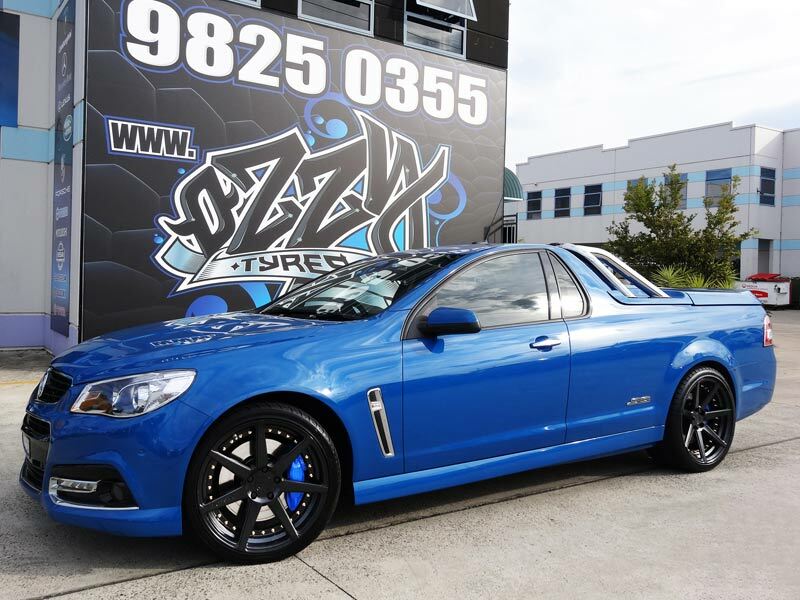 Contact us today to get the best deals on cheap rims and tyres in Sydney. Nothing gives us greater pleasure than serving our customers right and that has always been the motto here at OzzyTyres. We stock all varieties ranging from off-road SUV rims and tyres to custom mag wheels for your show car and have the best prices on offer too. All of our products are fitted and balanced and you won’t have to spend sleepless nights over the quality of the parts. Call us NOW at 1300-699-699 or visit our online store to get the best deals and offers on the products that you crave. Happy Hunting!